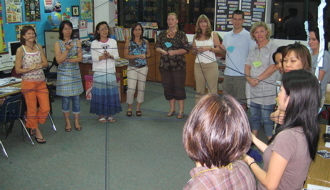 A little over two years ago I started working in a new position as athletic director in an international school in Malaysia with students K-12. One of the first challenges I faced was with the elementary swim team. We had a relatively small team which practiced a couple of times per week so that students could participate in other activities as well such as martial arts and dance. Early on in the year the team was invited to participate in a triangular meet with schools twice our size and whose teams practiced 5 days a week. 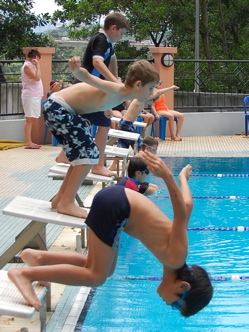 Some of our kids couldn’t even dive off the starting platforms. Needless to say they didn’t perform that well in comparison to the other schools. A week later I had a number of parents entering my office and wanting me to make my program like the other schools. When I met with a whole group of them, I made the mistake of saying that I had never been in a school with a swimming program. You can imagine how they felt about that!! I let the season continue just observing without making any changes at all. When the season was over, another colleague and I got together to produce a new strategy that has since left everyone really excited and the parents extremely happy. Between the two of us we called our meets the Crappy Schools Swim Associated because we decided that during the following year we would only participate in meets that we planned and set the model for. We invited 3 other schools who were on or slightly above our level and then organized a new type of meet. In the meet we gave awards to the first 3 places in every swimming heat which was something like 70 heats per meet. When we added relay events we ended up giving away almost 250 awards. Prior to that the only time that the swimmers got awards was during the annual city meet with 9 other schools where medals were only given to the top 3 in each event. In that year only 2 kids had won awards in the whole season. So what were our results? Almost instantly the parents thought we had a wonderful swimming program and since that day, I have not receive one complaint about the program. It turns out that parents and students really don’t care about who is first overall. They just love getting ribbons and when you make it much easier to win, the pressure just eases right off on the program. And what was even more gratifying is that the times of the swimmers just kept getting better and better with each meet, and they all began practicing a lot more on their own as well. Now if we would have played the game that a lot of people play when they are planning, then we would have “shoulded” on ourselves. Shoulding on ourselves would have meant that we try to do what the other schools do by having a program like theirs, but we did something else that was a little more radical. Instead of reserving winning for the top we increased the ability to win at all levels. 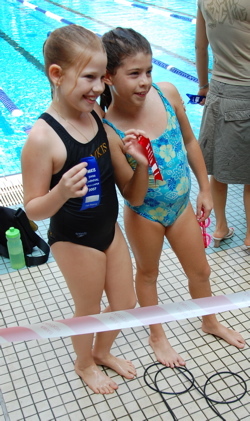 In the second year of the new program we added a swim carnival for every student from grade 2-5 in the school and did ribbons in the same way. It caused the team to grow from 25 the year before to almost 60 swimmers. The principles that we used are not particular to swimming or sports. They can be applied to any situation to bring great success. Most people base the planning of a sporting event on the Olympic Games. They only give awards to the top three athletes, base all of their pride on whether or not one of the three awards are won, and try to copy their programs based upon those who are winning the top three awards. So a lot of effort goes into the few athletes at the top who are gifted athletes. The ones at the bottom drop out because early on they have decided that sport is not for them. The same thing happens in every other discipline in most schools as well. In American based schools the goal is to go to an Ivy League school like Harvard. 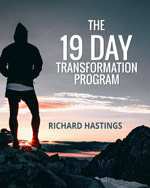 The programs get designed to be one of the few at the top. The people in the middle or bottom are largely forgotten. The glory of the school is based upon how many of the few at that top make it to an Ivy League school. But what makes you successful is the first principle of planning which is to be able to detach yourself from the way everyone else does things. This is not easy thing because everyone wants to be part of the gold medal winning team or filthy rich. But let’s face it, the world and everyone of its nations have failed completely in narrowing the gap between rich and poor. If you go into any bookstore in the world, most of the books are written by the one or two people who made it to the top. 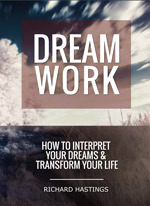 If you read the book and follow the prescriptions, you too can make it to the top. The radical approach to making events successful is to plan for those at the bottom and the middle. If the event is like the Olympic Games where only top is awarded, then the event is not about change and growth. It is simply about recognition and glory. Sadly, most organizations and most events are still run this way. The problem is that the ones at the top get lots of recognition, and then can’t understand why others become disenfranchised and apathetic. They write books about how others can be like themselves, but the glaring fact that the discrepancy between the top and the bottom has grown so dramatically only shows the extent of their failure. I think that most of the people at the top really don’t want people in the middle recognized and rewarded because they have the false belief that they are going to lose some of their recognition by doing so. Our experience proves them absolutely wrong in their thinking. The key to making an event successful and transformational is to think about how to reach the people who are normally the most excluded. In our swim program the athletes who were the most excluded were the ones that had made a lot of effort, but were never rewarded. We simply put them in races against others with similar ability and then awarded them in the same way that we recognized the top. The top swimmers all received the same number of awards that they normally would have received, but now everyone else also had more chances for the prizes. Even the slowest swimmers got awards. The result is that everyone stayed motivated and everyone improved. So when you are planning something like a meeting to discuss the future of the company or the family vacation, the emphasis should be on how to include the ones who are normally the most excluded. ← Who Do You Work for?